1. The Wedding and Events Consultant shall provide Services to the Customer in accordance with the most recent quotation and/or invoice and otherwise subject to these conditions. Any changes to the Services or these conditions must be agreed in writing between the Wedding and Events Consultant and the Customer. 2. The Wedding and Events Consultant may at any time without notifying the Customer make any changes to the Services which are necessary to comply with any applicable safety or other statutory requirements, or which do not materially affect the nature or quality of the Services. 3. The Customer shall not change the date, time or location of their Wedding or Event as specified on the most recent quotation and/or invoice without first notifying the Wedding and Events Consultant. If the Customer changes the Wedding or Event date, time or location and the Wedding and Events Planner is not available as a result, then the Wedding and Events Consultant is released from all Service obligations and shall in no way be held responsible or liable in any manner whatsoever for costs, damages or non-performance as a result. The Wedding and Events Consultant will then be obliged to Cancel this contract in accordance with the cancellation conditions set out in this contract. 4. It is the responsibility of the Customer to notify the Wedding and Events Consultant of any changes made to any arrangements throughout the period of this Contract. The Wedding and Events Consultant shall not be held liable for any delay, failure or damages resulting from any changes made by or between the Customer and any third party, whether the Wedding and Events Consultant is or is not aware of such changes. 5. The Wedding and Events Consultant's role is to advise the Customer based upon industry knowledge and experience, the Wedding and Events Consultant shall never confirm any final decisions related to any Event unless at the request of the Customer. The Customer will be entirely in control of all final decisions made. With the exception of last-minute changes, malfunctions, weather, timings, lateness and non-performance where the Wedding and Events Consultant will use their professional judgementto organise a solution based upon the situation, time and resource limitations and/or the Customer's wishes. 6. If the Wedding and Events Consultant is requested to carry out any errands on the behalf of the Customer, the Wedding and Events Consultant reserves the right to refuse. Where the Wedding and Events Consultant agrees to carry out such errands, the Wedding and Events Consultant has the right to charge £40 per hour plus applicable mileage charges at 45 pence per mile. Said fee’s should be paid within fourteen days of an invoice for said services being issued. 7. The Wedding and Events Consultant warrants to the Customer that the Services will be provided using reasonable skill and care and, as far as reasonably possible in accordance with the most recent quotation and instructions as agreed between the Wedding and Events Consultant and the Customer. Where the Wedding and Event Consultant supplies, in connection with the provision of the Services, any information provided by a third party, the Wedding and Event Consultant does not give any warranty, guarantee or indemnity in respect of such information. 8. The Customer agrees that any and all intellectual property rights of any kind arising from the Services shall be and remain the sole property of the Consultant. The Customer gives permission and shall allow the Wedding and Events Consultant to use photographs and footage taken of their Wedding or Event on or in marketing materials of Timeless White Wedding Planning Ltd. The Customer acknowledges that this is for the promotional purposes only and does not expect compensation of any kind. The Customer reserves the right to object to the use of photographs or footage which make the Customer clearly identifiable. The Wedding and Events Consultant grants the Customer permission to use such photographs and footage at their leisure, though commercial use is not permitted. 9. 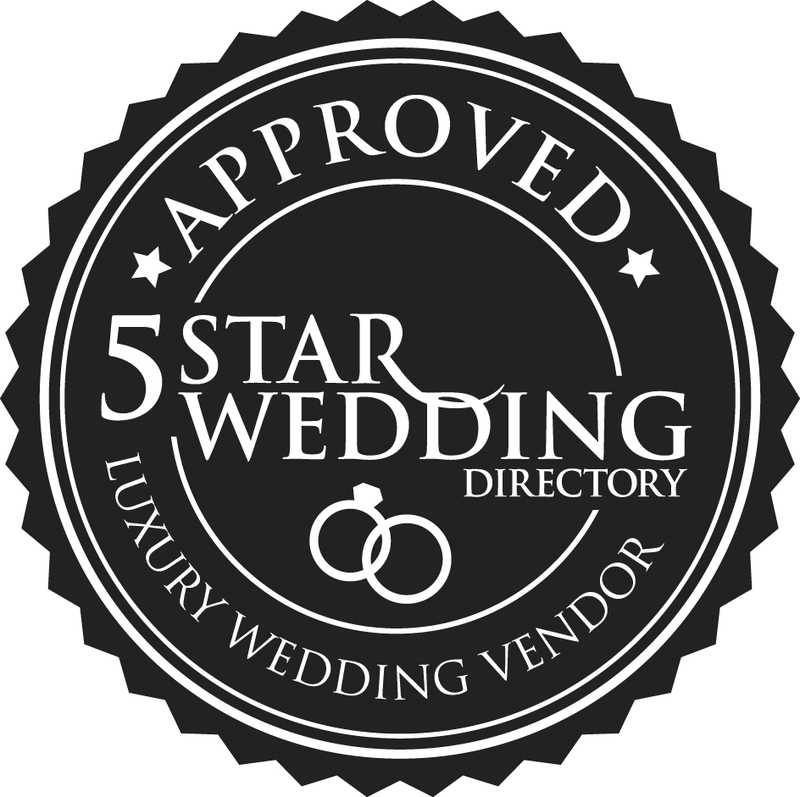 The Wedding and Events Consultant cannot and will not guarantee the availability, products or performance of any third party. The Wedding and Events Consultant shall not be held liable for any delay, failure or damages resulting from any actions or non-performance of a third party. 10. The Customer undertakes to provide all information and documentation required by the Wedding and Events Consultant in a timely and orderly manner. In the event of their failing to do so, the Wedding and Events Consultant will not be held liable for any charges, damages, expenses, claims for compensation or non-performance arising from any materials or instructions supplied by the Customer which are incomplete, incorrect, inaccurate, illegible, out of sequence or in the wrong form, or arising from their late arrival or non-arrival, or any other fault of the Customer. If the Customer fails to provide the information or documentation within thirty days of it being requested, the Wedding and Events Consultant reserves the right to cancel the Contract in accordance with the cancellation conditions set out in this contract. 11. The Customer undertakes to give the Wedding and Events Consultant instructions on their behalf in a timely manner. The Customer understands that while the Wedding and Events Consultant warrants to make their best effort where short notice is given to instruct a service or make significant changes to Wedding Plans, that the Wedding and Events Consultant has the right to refuse to undertake such tasks if notice is given less than 28 days before the Wedding is intended to take place. 12. If an act of God, such as a fire, flood, earthquake or other natural calamity shall cause the Customer to cancel or change the date, time or location of their Wedding or Event; The Wedding and Events Consultant will offer the Customer the chance to re-book their Wedding on a later date for no extra fee, subject to availability. 13. The Customer will save, defend and hold harmless the Wedding and Events Consultant against any and all loss, damages, liabilities, claims, judgments, decree awards, actions, costs and expenses arising in connection with the performance or non-performance of all the obligations and liabilities required by law to be performed and borne in respect of any and all of the Services supplied to the Customer pursuant to this Contract, including without limiting the generality of the foregoing, obligations and liabilities in connection with the termination of the Contract. 14. The Wedding and Events Consultant shall not be liable to the Customer by reason of any representation (unless fraudulent), or any implied warranty, condition or other term, or any duty at common law, or under the express terms of the Contract, for any financial loss or any indirect, special or consequential loss, damage, costs, expenses or other claims (whether caused by the negligence of the Wedding and Events Consultant, it's servants or agents or otherwise) which arise out of or in connection with the provision of the Services or their use by the Customer, and the entire liability of the Wedding and Events Consultant under or in connection with the Contract shall not exceed the amount of the Contract Price for the provision of the Services, except as expressly provided in these conditions. 15. The total liability of the Consultant in respect to the provision of Services shall not exceed the sum of the Contract Price except where such limitation is not permitted by law. 16. It is the Customers responsibility to insure themselves against any cost or damages associated with damage to third party property or equipment, acts of god, family bereavement or other unfortunate circumstances resulting in additional costs or loss of funds. The Wedding and Events Consultant will not be liable, nor will they provide insurance for, any costs incurred due to damages to third party equipment or property, cancellation or change of Wedding date. 17. The Customer agrees to indemnify the Consultant, the Consultants employees, agents and volunteers against any cause of action resulting from the provision of Services of any kind including but not restricted to Wedding and Event Advisory, Management and Planning Services, and in addition, any cause of action arising from the Customer's actions or failure to act, either personally or on behalf of the Consultant. If the Wedding and Events Consultant goes into Liquidation, becomes bankrupt, makes a voluntary agreement with its creditors or has a receiver or administrator appointed, then the Wedding and Events Consultant will not be held liable for any damages, costs, expenses or other forms of compensation to the Customer. 19. If the Customer terminates this contract within 28 days or less of the date specified in the most recent quotation to which this Contract is appended, the Contract Price will be paid in full to the Wedding and Event Consultant. If this Contract is not terminated there will be no refund. 20. No failure or delay by either party in exercising any of their rights under the Contract shall be deemed to be a waiver of that right, and no waiver by either party of any breach of any Contract by the other shall be considered as a waiver by either party of any breach of the Contract or shall be considered as a waiver of any subsequent breach of the same or any other provision. 21. Any dispute arising under or in connection with these conditions or the provision of the Services shall be referred to arbitration by a single arbiter appointed by agreement (or, in default of agreement) nominated on the application of either party by the President for the time being of the Society of Advocates in Aberdeen. 22. If any provision of these conditions is held by any competent authority to be invalid or unenforceable in whole or in part, the validity of the other provisions of these conditions and the remainder of the provision in question shall not be affected. 23. These conditions (together with the terms, if any, set out in the Most recent quotation) constitute the entire agreement between the parties, supersede any previous agreement or understanding and may not be varied except in writing between the parties. All other terms and conditions expressed or implied by statute or otherwise, are excluded to the fullest extent permitted by law. 24. These conditions shall be deemed to have been made in Scotland and the construction validity and performance of them shall be governed in all respects by Scottish Law. 25. The Wedding and Events Consultant will begin delivering the Services to the Customer once the Booking Fee invoice, in accordance with the customers chosen level of support, has been paid. The Wedding and Events consultant is not obligated to begin any work on behalf of the couple until the booking fee invoice has been paid. 26. The Contract Price and any charges payable in respect of Services provided to the Customer (without any set-off or deduction) shall be paid within a period of fourteen days commencing on the date immediately following the date of the Wedding and Event Consultants invoice unless credit terms have been agreed in advance. 27. If payment is not made by the invoice due date, the Wedding and Events Consultant shall be entitled, without limiting any other rights the Wedding and Events Consultant may have, to charge interest on the outstanding amount (both before and after any judgement) at the rate of 4% above the base rate per day, from the day that an invoice becomes overdue until the outstanding amount is paid in full. 28. If payment is not made within fourteen days of the invoice date, the Wedding and Events Consultant shall be entitled, without limiting any other rights the Wedding and Events Consultant may have, to stop the provision of all agreed services until the invoice is paid in full. 29. In the event of Services being provided beyond those specified at the time of the original instructions, the Wedding and Events Consultant reserves the right to make an additional charge for such Services. Where possible, an estimate for such Services shall be provided in advance. 30. Time out of the office in order to run errands or purchase or collect items on behalf of the customer be charged at a rate of £40 per hour plus travel mileage. 31. Any costs or expenses incurred as a result of running errands or making purchases on behalf of the client shall be charged at cost plus 10% and should be paid in full by the Customer within fourteen days of being provided with an invoice and/or receipt for such expenses. 32. The Wedding and Events Consultant reserves the right to provide a bespoke price on all packages where the Customers Wedding or Event is to take place on dates that fall between the twenty second of December and the fourth of January. This is due to a number of variables and logistical challenges that exist at this time of year. This cost will be expressed by quotation before any agreement between the two parties commences. 33. The Wedding and Events Consultant reserves the right to provide a bespoke price on all packages where the Customers Wedding or event is to take place at a one-off Wedding venue whereby the venue meets at least two of the following criteria; the venue does not normally host such events, the venue does not have its own staff available to support and administer a Wedding or Event and/or the Wedding venue does not have a fixed permanent structure suitable to host the Wedding or Event within. I/We hereby accept the above Terms and Conditions of service and acknowledge our agreement by pressing submit. Thank you very much for agreeing to our Terms of Service, we are very excited to have you board with us!